Austin, Texas (May 9, 2007) – Second Congress Ltd. (Second Congress), developer of The Austonian luxury high-rise condominium project, announced today it is supporting the Green Roof Research Project underway at the Lady Bird Johnson Wildflower Center at The University of Texas at Austin (Wildflower Center). The Austonian chose National Wildflower Week (May 7-13) to spotlight its support of the project which studies the benefits of green roofs on commercial and residential buildings. Green roofs are vegetated roof covers with growing media and plants taking the place of traditional roofing materials such as shingles or tiles. These roofs save energy by reducing the temperature in the buildings below as well as heat radiated from the roof itself. There are two main types of green roofs: intensive (soil depth greater than eight inches) and extensive (soil depth less than eight inches). According to Green Roofs for Healthy Cities, the Toronto-based green roof industry association, the green roof industry grew by more than 25% in 2006 for North America with more than 100% growth in the intensive, green roof garden market segment. “The City of Austin’s Green Building program is important to us as we construct The Austonian with as many environmentally sensitive and friendly materials and resources as possible,” said David Mahn, project vice president for Second Congress “The Wildflower Center’s research has shown that green roofs makes sense for Austin because they help reduce storm water runoff as well as the heat island effect and provide recreational and aesthetic benefits for Austinites. Green roofs are already popular in Europe and in cities like Seattle and Denver that, like Austin, are known for their active outdoor lifestyles and strong environmental vision,” continued Mahn. Located in the heart of downtown, The Austonian is leading the way in urban living and chic design by providing 195 beautiful residences all within 2/3 of an acre. The Austonian will offer a complete package of unmatched features and amenities in terms of its address, indoor air quality, water and energy conservation, singular views that will be afforded to every resident, revitalization of the Second Street District of Austin and extraordinary architectural design. The Wildflower Center’s green roof project examines the effects of green roofing in a subtropical climate and was developed in response to requests from construction and planning industry professionals. The primary benefits for any green roof project are: reduced heat island effect, reduced storm water and pollutant runoff, increased energy efficiency, wildlife habitat and lengthened life span of the roof. The Austonian named the Wildflower Center its charity of choice for 2007 and is providing support for its initiatives, including the green roof project, through a comprehensive package that will exceed $400,000, including the gift of a Wildflower Center membership to each condominium purchaser. Learn more about the project at www.texasgreenroofs.com. About Benchmark Development and Second Congress Ltd. Benchmark Development (Benchmark), located in Austin, Texas, is the principal of Second Congress Ltd. Benchmark is a full-service development company, creating award-winning, single-family, condo, office, retail, and mixed-use projects in both the suburban and urban in-fill markets. Projects include “Plum Creek,” a 2200-acre traditional neighborhood design mixed-use community in Kyle, Texas. Benchmark, a subsidiary of Grupo Villar Mir in Spain, specializes in reviving the great American neighborhood and fostering community interaction between citizens and local businesses. The Austonian is a luxury high-rise condominium development that will add a sleek 55-story tower to the Austin skyline. This project will offer uncompromised luxury residences for Austin and the height will create unparalleled views. Additionally, The Austonian will feature an energy-efficient design cutting down on air pollution and reducing water usage with its “green” building design. The Austonian will create a pedestrian-friendly lifestyle for its residents, where areas to shop, dine, work and play are within a five-minute walk. For more information on The Austonian, please visit www.theaustonian.com. The Lady Bird Johnson Wildflower Center at The University of Texas at Austin is dedicated to increasing the sustainable use and conservation of native plants and landscapes. 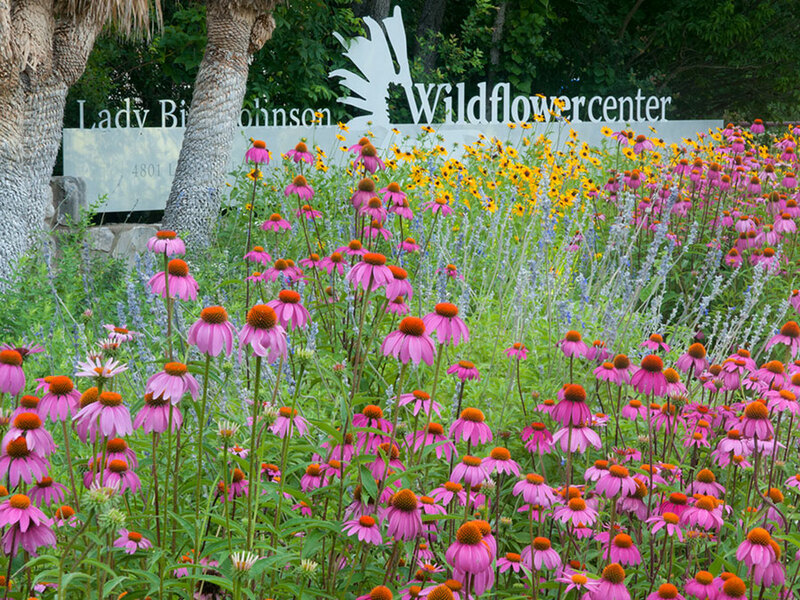 Founded by former first lady, Lady Bird Johnson, in 1982 the Wildflower Center maintains an extensive native plant botanic garden and offers professional and adult education programming. 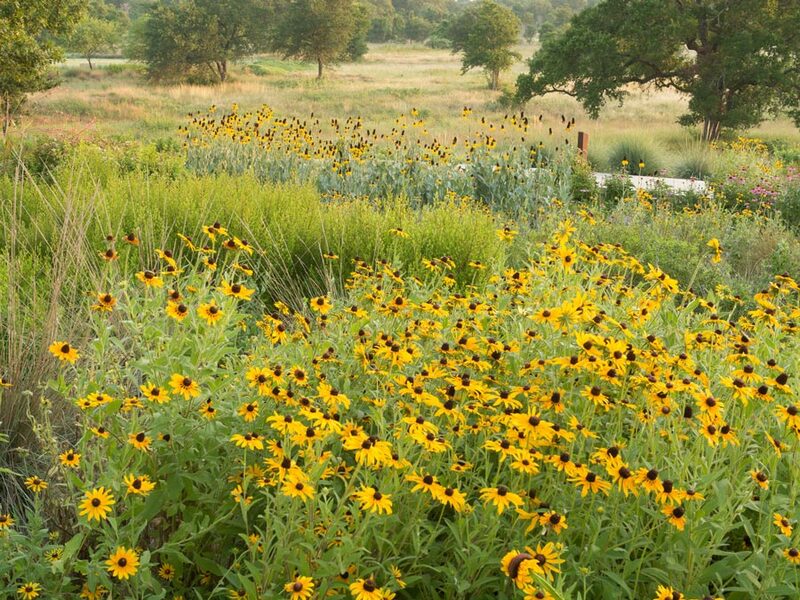 The Wildflower Center conducts research on landscape restoration and plant conservation at its 279-acre site, promoting the role of native plants and plant communities in addressing ecological problems. Recent research initiatives focus on native turf grasses, use of native plants on green roofs and evaluation of carbon sequestration by native plants in urban landscapes.